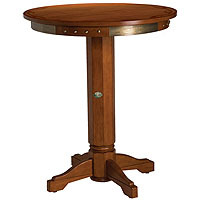 Adding a pub or cafe table can be a great way to expand the entertaining capacity of your home bar. 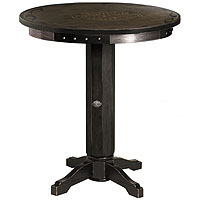 Bar tables can add some extra comfort and space for you to enjoy drinks at with your guests. 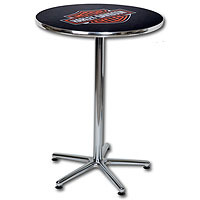 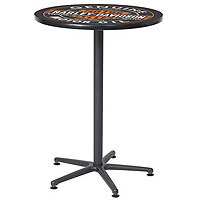 Bar tables can also add some extra style with our Harley Davidson and European traditional themed table tops.